The goal is to present on a timely basis cases of child abuse and neglect referred by the Texas Department of Family & Protective Services in order to ensure the safety of the children in El Paso County. 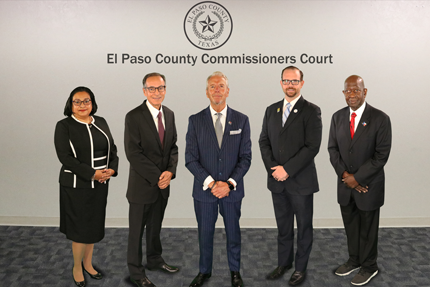 The Child Protective Services Unit of the County Attorney's Office is responsible for filing all litigation in child abuse and neglect cases referred by the Texas Department of Family & Protective Services in order to ensure the safety of the children in El Paso County. The Unit consists of four Assistant County Attorneys and four legal secretaries who are responsible for filing suits affecting the parent child relationship in a timely manner and attending all statutorily required hearings. 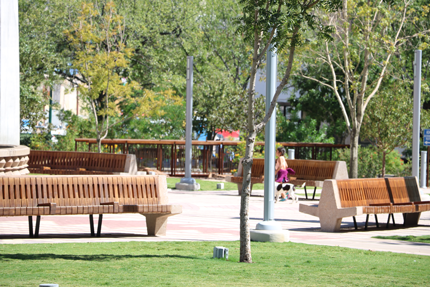 The attorneys in the Child Protective Services Unit also participate in various organizations and efforts related to the prevention of child abuse such as the Child Welfare Board, the Child Fatality Review Team, Model Court of El Paso County, Advocacy Center for the Children of El Paso, the CARE Coalation and the 65th District Court Family Drug Program, and the Border Children's Mental Health Collaborative Coalition. Under Texas State Law, all persons having cause to believe that a child's physical or mental health or welfare has been adversely affected by abuse or neglect have a duty to immediately report such information to Child Protective Services. Please report at 1-800-252-5400. Your identity will remain confidential.